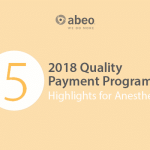 From the CPT 2018 Professional codebook: “…this final rule addresses valuation of services for purposes of Medicare payments made under the PFS. 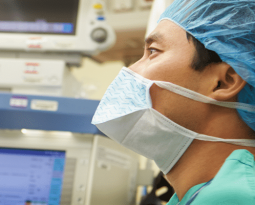 Valuation and payment determinations made by private insurers are outside the scope of this final rule.” Although this could lead private insurers to make valuation adjustments in the future that parallel the CMS rule. 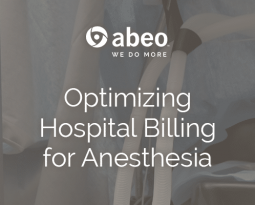 abeo stands behind our clients as we are evaluating each client based on their unique case mix and volume to determine the financial impact this change will have on their anesthesia GI reimbursement. 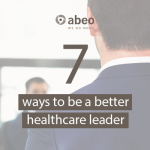 abeo clients are encouraged to discuss these changes and the impact this will have on endoscopic anesthesia documentation requirements and reimbursement with their Client Relationship Manager (CRM). The scoop on proposed changes was first announced here. 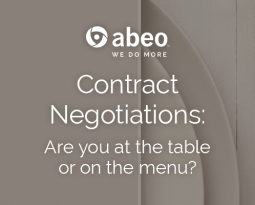 Be in the know and sign-up to receive abeo alerts. 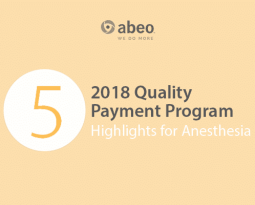 When will ABEO and others stop confusing the words PAYMENTS and REIMBURSEMENT? Thank you Dr. Greenstein for taking the time to share your perspective and thought on this matter.